Sometimes the worst thing you can do for the poor is “help the poor.” What we want to do is tear down the walls that prevent poor people from making themselves into non-poor people. That’s what “helping the poor” ought to mean. But all too often, it really means building walls between poor and non-poor people, reinforcing the divide rather than tearing it down. Throwing middle- and upper-income people out of school choice programs is a classic example of hurting the poor by “helping” them. It creates a sharp, government-enforced division between two separate and very unequal populations. On one side of the wall are poor people, who receive school choice; on the other are non-poor people, whose tax dollars provide them with school choice. This division shuts down educational innovation, greatly weakens the political coalition in favor of choice (and of protecting private schools from government interference, which is clearly going to become a threat whether there are school choice programs or not) and in the long run creates an us-versus-them power competition between the poor and the non-poor that the poor are going to lose. As long as Mike is taking his lumps out in the wild, wild west of Arizona, maybe he could rethink which side of this unavoidable civil war – unavoidable because opponents of parent choice have made it so – he really wants to be on. Another point: I don’t blame the Post for describing advocates of parent choice as “free-market purists” while describing opponents of parent choice more neutrally. It is we in the parent choice camp who have chosen to make deep investments in “free market” ideological rhetoric. Everything we’re saying about markets is in fact true, but it’s a bad idea for us to make “markets” and “competition” the main points in favor of choice. Markets and competition as drivers of efficiency and performance are important. But they do not provide the moral norms and narratives needed to inform the next accountability. The best case for universal school choice does not center on them. These should be secondary, not primary themes. The purpose of education is to help children develop the knowledge, skills and virtues they need to live a good life—achieving and appreciating the true, good and beautiful—and to live as good citizens of a community where we disagree about what is good. To cultivate these, we need teachers who are wise professionals (possessing the qualities they seek to instill, and guided by an independent professional ethic) and schools that are free communities (where shared purpose, not the arbitrary dictates of distant authorities, shape a shared life). Teachers and schools can educate the individual student for free pursuit of the good life as he or she sees it, and also for good citizenship and respect for others’ rights in a diverse community, because of what we share in common as human beings and as fellow Americans. Teachers and schools should be held accountable to do this by parents and local communities—the more local the better—because they are in the closest moral and social connection to schools, and can therefore hold them accountable in ways that support their social fabric rather than disrupting it. Is this too much to ask of a highly polarized education reform movement, strongly committed to moral narratives that center on either markets or test scores? I’m looking forward to finding out. The most realistic thing about fairy tales is this: You don’t realize you’re making a titanic moral choice that will determine whether you triumph or die until the moment after you have made the choice. 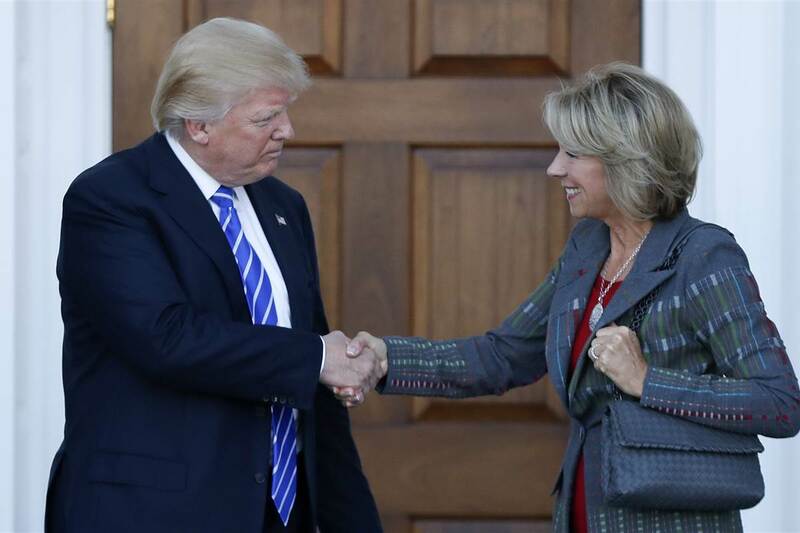 Betsy DeVos will likely make a very good education secretary if 1) she can prevent her department from sabotaging her and 2) she focuses on choice and puts Common Core and all associated initiatives to rest. #2 is highly likely given what was said during the campaign. #1 is always something of a crapshoot. Being a conservative cabinet secretary is an inherently dangerous undertaking. But I’m less interested in her choices and more interested in the choices of the school choice movement. But in the last few years the Common Core disaster has polarized the education reform movement. CC progressives (not identical with choice-friendly progressives, although there’s overlap) have declared war on conservatives, denouncing us as racist for the crime of not being progressives. So far that hasn’t had much effect on the choice wing of the movement’s relationships with minority communities. But we choice people increasingly feel outcast, despised, wronged by those whom we had regarded as friends and allies, but who turned on us the moment they found it expedient to do so. And of course that will be the death of us. Because then we really will have turned a blind eye to racism. We should keep the focus where it belongs: on the states. If we’re offered a big federal push to impose choice on the states, we should say “thanks, but no thanks.” On the merits, yes, and for other reasons, too. As someone once said on this issue, you can’t shake the devil’s hand and say you’re only kidding. We can work with Trump (on, for example, choice in DC and other federal jurisdictions) the same way we might work with any bad person who holds office. But with the demonization of conservatives in the movement and the big opportunities for choice that Trump will soon likely be offering us, the temptation will be to forget what we spent the last generation saying: That school choice will die if it doesn’t build a trans-partisan, trans-ethnic coalition. I am deeply impressed by, but feel the need to add something to, Neal’s very gutsy column on trying to understand what appears to be bigotry. Neal is right that what appears to be merely bigotry is often at least mixed with other, less objectionable concerns; and sometimes what appears to be bigotry may not be bigotry at all. 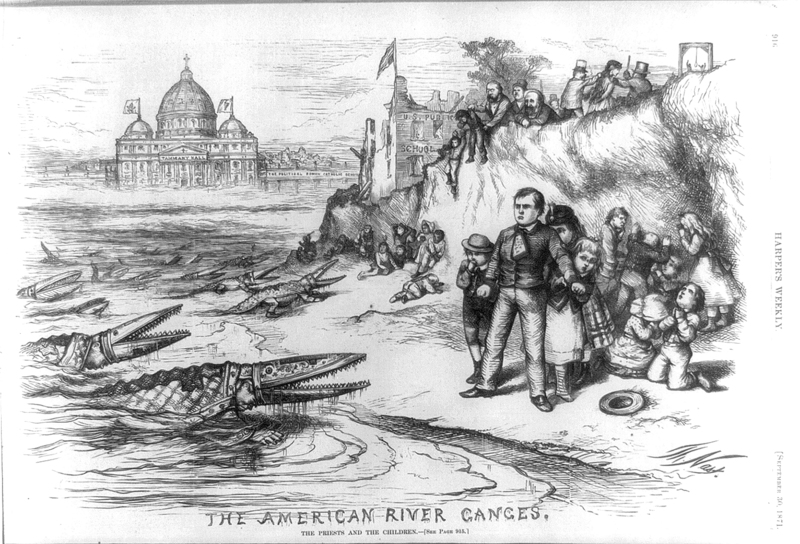 As Neal points out, American Protestant responses to Roman Catholic immigration were at least partly colored by the knowledge that Catholic/Protestant differences had led to extended warfare in Europe, and usually the only viable path to peace had been to separate the two populations. I would apply this in our own day by saying that populations that appear bigoted are often just low-information voters who have tuned out the dinosaur media completely (and with very good reason!) and thus have never been told that Donald Trump is a notorious racist who discriminates against blacks in his businesses, said a judge of Mexican ancestry couldn’t judge him impartially, constantly flirted with the alt-right, and refused, three times, to repuidate the KKK when first asked to do so. They simply don’t know these things because the news sources they trust (Fox, Rush) have decided not to tell them. The more aggressive we are in repudiating real bigotry, the more credibility we will have to discuss what may or may not be real bigotry. If more conservative and GOP leaders had done the right thing during the election and repudiated Trump as beyond the pale and unsupportable regardless of all other factors because of his shameless racism, it might be possible now to get a hearing for the case that many or even most low-information Trump voters don’t know he’s racist. I’m not optimistic about that now. It may be true – I think it probably is true – but no one will buy it. There is a heavy reckoning awaiting the conservative and GOP leaders who chose to turn a blind eye to what Trump really is, and the right-wing news sources that chose not to tell their audiences. In an email, Neal says “a lot of Americans used to fear my religion.” What does he mean, “used to”?